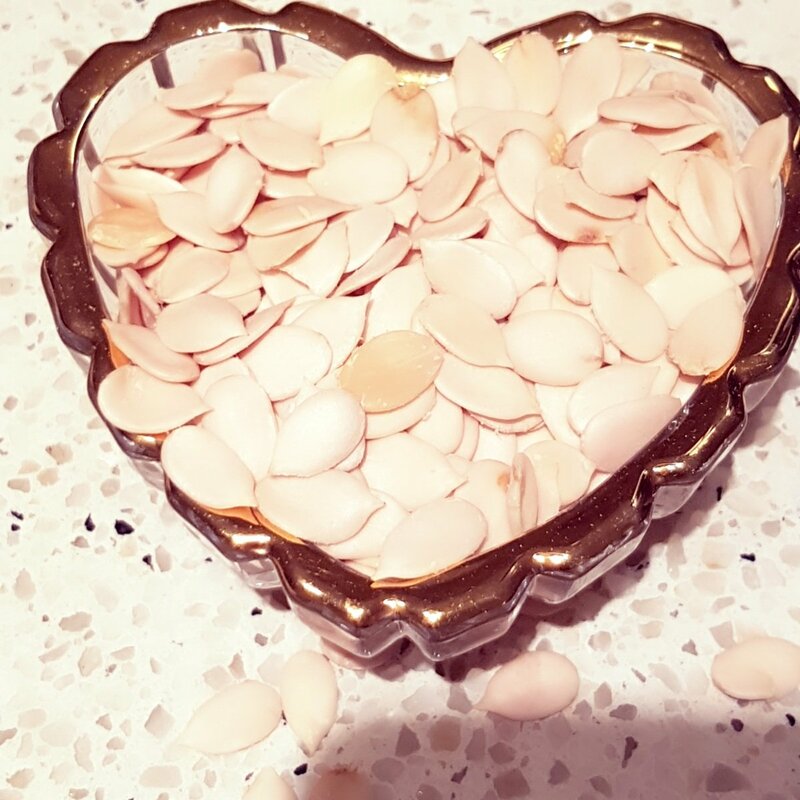 Egusi are melon seeds which are collected, dried, cracked from their white skin and ground to dust. 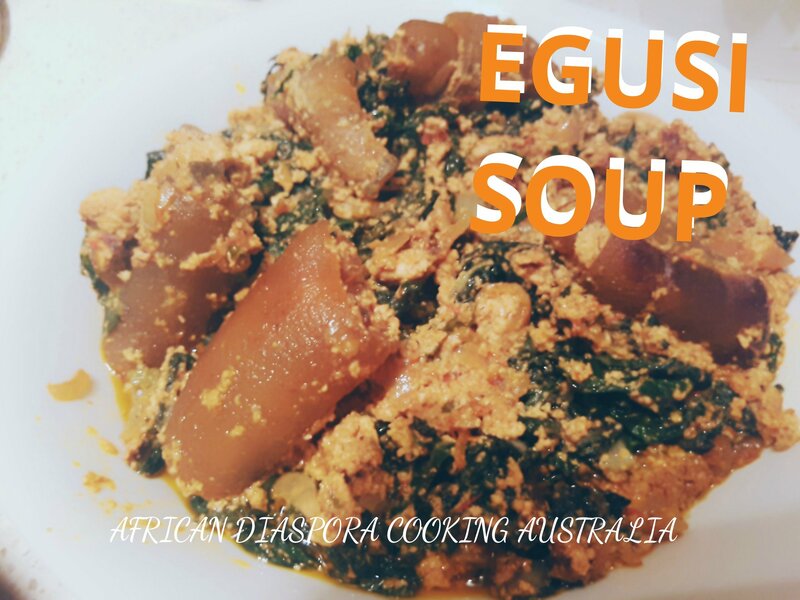 In west Africa, we use egusi to prepair delicious cuisines like egusi soup, egusi stew, egusi okro soup, egusi pudding and egusi vegetable soup and much more. 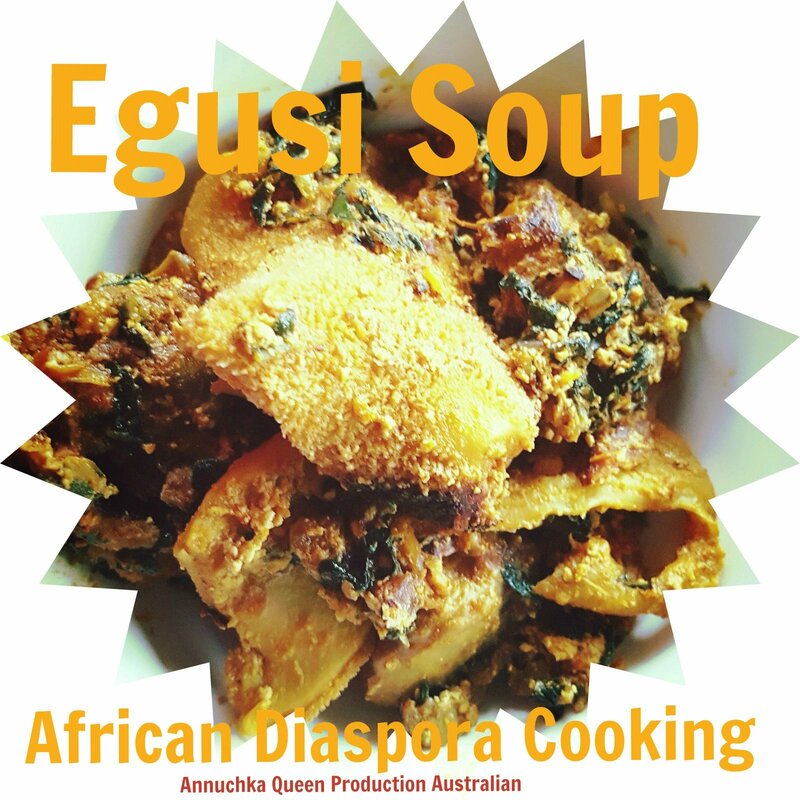 Egusi is a very healthy ingredient for preparing soup. In Africa, we have got varieties of tropical vegetables that goes well with egusi when used to prepare egusi soup. Today , l am going to make a healthy and thick egusi soup using kale vegetable . Egusi soup has so many versions. It can be cooked in different ways depending on where you hail from in Africa, your cou tey , tribe and village. Growing up in Africa , my granny used to make a very delicious bitterleaf egusi soup. Bitterleaf is a tropical vegetable. 4 tablespoons of oil . Prepare your vegetables. Chop and Wash kale properly with warm water abd keep aside. Boil cow skin to tender. 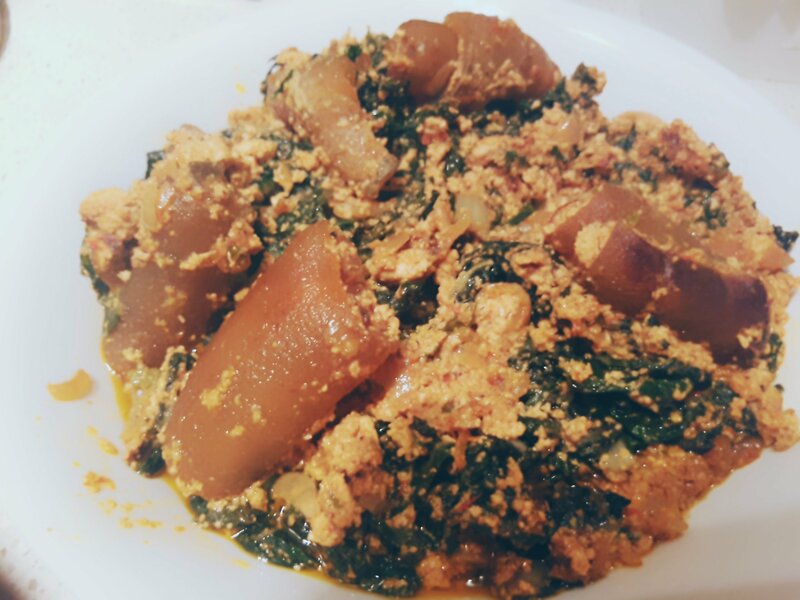 Use stock water to mix your egusi to form a paste and set aside. When tomato and onion is dry add paet of the stock from the canda and place your egusi and over to simmer for 5 to 7 mins . Add kale or any vegetable of your choice. And leave to simmer for 5 mins . Make sure you don’t overcook your vegetable.